Pickering is a market town in Ryedale, North Yorkshire. Although legend states that King Peredurus founded the town in 270BC, the actual, factual, history of Pickering can be traced back to Anglo-Saxon times where it has an entry in the Domesday Book. Pickering boasts a great deal of heritage and tradition to be enjoyed, as well as a number of local tourist attractions and these have combined to turn Pickering into a thriving and welcoming town. Known locally as the Gateway to the Yorkshire Moors, the town welcomes walkers and adventurers as well as those searching for the truth behind local legends. HomeAway has a wide selection of holiday cottages in Pickering available for families and walking groups alike. There is a delightful blend of traditional quaint cottages and smart modern homes to select from but all are well equipped to ensure they provide the perfect base for a self-catering break. Kitchens are stocked with modern equipment such as laundry facilities, dishwashers and cooking appliances whilst many cottages also feature wi-fi. Children and pets are welcome in many of the cottages and barns, whilst gardens and on-site parking also feature frequently. Although Yorkshire has many charms and splendid attractions which make it popular with families and walking groups, England has many further delights on offer. Cambridge holiday apartments are the ideal base for exploring the famed university town with its ancient history, architecture and busy river. Meanwhile, from holiday cottages in Lindisfarne, there are stunning views, pleasant walks and delightful beaches to enjoy. North Yorkshire Railway: Pickering is home to the beginning of the North Yorkshire Railway which runs to Whitby through the delightful North Yorkshire Moorlands, stopping at Levisham, Newtondale Halt and Goathland stations. Beautifully maintained and luxurious steam trains run daily with a host of special events and gala days spread throughout the calendar. Local history: Holiday barns in Pickering are the ideal location from which to access many of the sites of local historical interest which make the village so unique. The Pickering castle has stood since Norman times, yet remains in excellent condition, and offers visitors splendid views of the surrounding countryside. Another local highlight is St Peters and St Pauls Church, a 12th-century building, which remains in use as a place of worship but is also host to some of the most famous and celebrated wall paintings in the world. In addition, the Beck Isle Museum plays host to some 50, 000 artefacts. Flamingo Land: Four miles away from Pickering holiday cottages is the theme park Flamingo Land. In addition to a vast collection of rides which range from white knuckle coasters to family friendly and children’s rides, there is also an extensive zoo and conservation area which offers unique animal meeting experiences. Walking: North Yorkshire plays host to some of the most majestic scenery in the United Kingdom and from holiday barns in Pickering there are a host of options for short and gentle walks to hikes and climbs which are more suitable for experienced walkers. The North Yorkshire Moors National Park, the Dalby Forest and the Yorkshire Coast are all within easy travelling distance. As with many destinations in Yorkshire, Pickering enjoys a mild but wet climate. It is this climate which accounts for much of the local landscape and nature and therefore is welcomed by walkers. Whilst the winters tend to be wet and cold, with temperatures dipping as low as 0.3⁰C in January, they may rise to as high as 19.5⁰C in August. The summer months of June, July and August are generally pleasant whilst frosts and snowfall is common during the winter. The weather can be changeable, and therefore visitors are often recommended to bring a selection of clothing suitable for a variety of conditions. Pickering is extremely accessible by car or public transport making it the ideal destination for a long or short break. Just seven miles from the A64, the village sits on the junction of the A170 and the A169. Meanwhile, there are regular bus services through the village linking it with nearby villages as well as city centres such as York, Scarborough and Leeds. 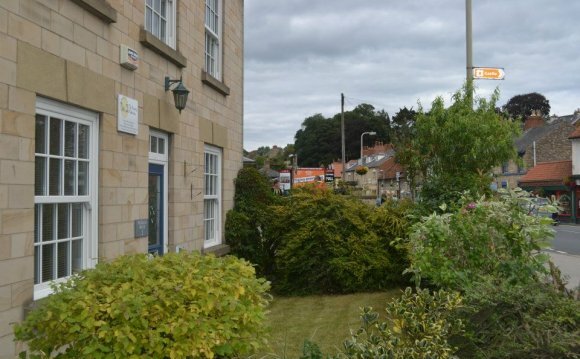 The closest train station is Malton which has regular services arriving and departing on a daily basis.